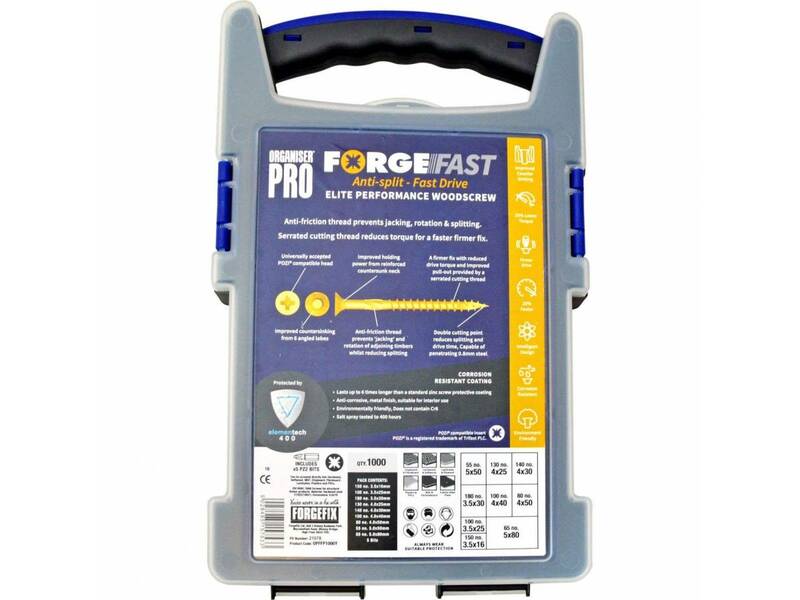 These Forgefix ForgeFast Wood Screws have a universally accepted, Pozi compatible drive. They have 6 underhead lobes for improved countersinking and reduced surface dust, and reinforced countersunk necks which improve holding power. The screws have an anti-friction thread for reduced splitting of the timber, reduced 'jacking' and spinning of joined timber and improved drawing strength. 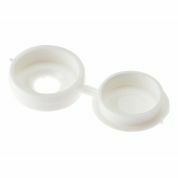 The thread is serrated for improved pull-out and reduced torque when inserting the screw. The double cutting point allows faster drilling time and reduced clogging of wood dust and is capable of piercing 0.8mm steel. The screws have a 'Elementech 400' coating providing an anti-corrosive metal finish, which lasts up to 6 times longer than standard zinc coatings. The coating is nature friendly and does not contain Cr6+. It is Salt Spray tested to 400 hours. 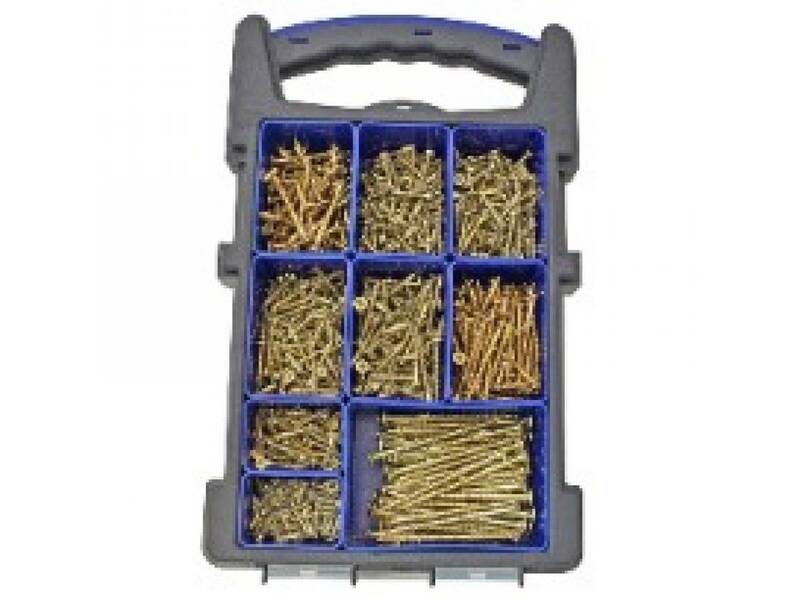 The screws are suitable for interior use. 150 x ForgeFast Pozi Compatible Wood Screws 3.5 x 16mm. 100 x ForgeFast Pozi Compatible Wood Screws 3.5 x 25mm. 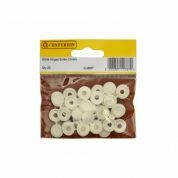 180 x ForgeFast Pozi Compatible Wood Screws 3.5 x 30mm. 130 x ForgeFast Pozi Compatible Wood Screws 4.0 x 25mm. 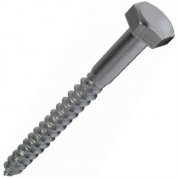 140 x ForgeFast Pozi Compatible Wood Screws 4.0 x 30mm. 100 x ForgeFast Pozi Compatible Wood Screws 4.0 x 40mm. 80 x ForgeFast Pozi Compatible Wood Screws 4.0 x 50mm. 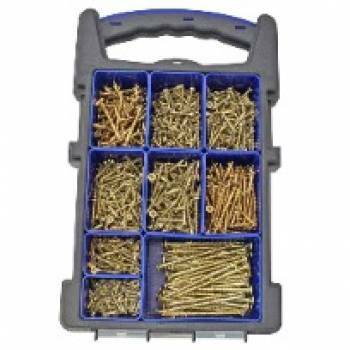 55 x ForgeFast Pozi Compatible Wood Screws 5.0 x 50mm. 65 x ForgeFast Pozi Compatible Wood Screws 5.0 x 80mm. 5 x ForgeFast Pozi Compatible Bits.